A few weeks ago, I flew to New Mexico and painted around Santa Fe. What a great part of the world the Southwest is. In the coming weeks I will be traveling up highway 395 to capture the fall leaves around Mono, Mammoth and June lakes. Then in November I’ll be going to Sedona. I love my job! 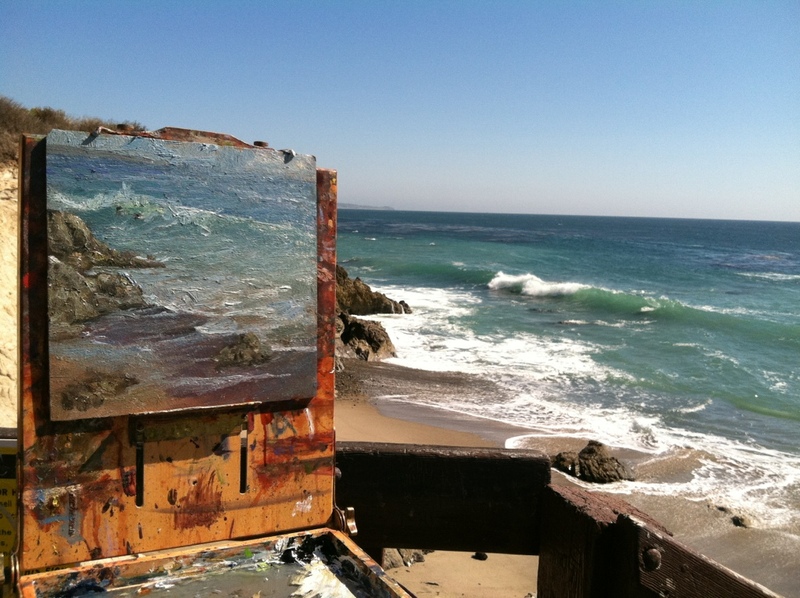 Leo Carrillo is always a great place to paint… as you say a joy!! I love the textures and colors you bring to your work. I can’t wait to see all the beautiful work you create on your travels! !